Two-time captain Jeremy Vincent brings his incredible football career to a close after starting in all 40 games since 2015 and winning multiple awards. Fourth-year Jeremy Vincent watches his competition. The Maroons’ 48–16 victory over Lake Forest on November 10 marked the end of fourth-year Jeremy Vincent’s outstanding football career. Vincent, who has started all 40 games the Maroons have played in since 2015, was a two-time captain, the UAA Rookie of the Year in 2015, First Team All-SAA in 2016, and First Team All-MWC in both 2017 and 2018, among many other awards and accolades. Four years ago in Santa Clarita, CA, Vincent played both wide receiver and safety for his high school Oaks Christian. He quickly became a standout player and garnered interest from many collegiate football programs, including Division I colleges. After taking into account more than just his football career, Vincent settled on the University of Chicago. Despite originally committing as a wide-receiver, plans changed quickly and by the time Vincent showed up to camp during his first-year the coaches moved him to the other side of the ball. Now a safety, Vincent quickly fought his way to the top of the depth chart and started the very first game of his collegiate career at his new position. Vincent’s initial trial by fire paid off down the road as he accumulated experience. The results speak for themselves: over the course of his four seasons, Vincent accumulated 240 tackles, 6.5 tackles for loss, 7 interceptions, 27 pass break-ups, 3 forced fumbles, and 4 fumble recoveries. More than just the stats, however, Vincent helped lead the Maroon football program through a time of transition. After going 6–4 during Vincent’s first season in 2015, the Maroons fell to 4–6 during his second season in 2016. The team then fought back to 6–4 in 2017 and then broke through this season to a 7–3 record despite starting the season 0–2. Despite what Vincent says, third-year wide-receiver and fellow team captain Dante Nepa credits Vincent for setting the standard which the team followed, “Jeremy is the epitome of a leader who leads by example. He goes about his business the right way and provides a great example for the rest of our team on what hard work, dedication, and a drive to win will do both on and off the field.” Nepa was teammates with Vincent in high school as well as college, and the two have maintained a close relationship throughout the years. 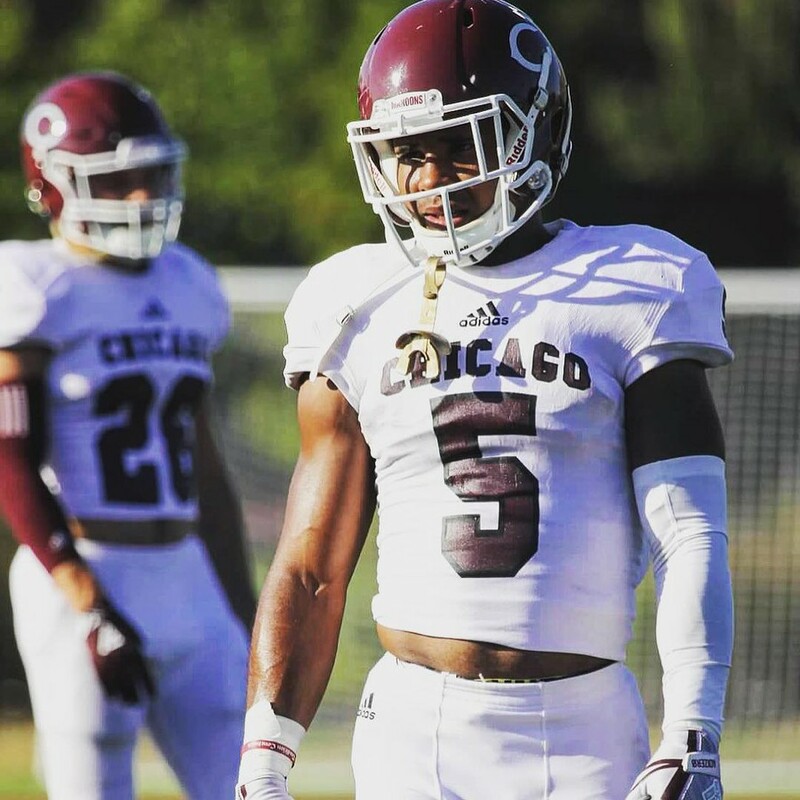 Vincent played football at Chicago because it was his passion, and he was able to pursue his athletic career while surrounding himself with the kind of people he wanted to be around. Outside of the football team, Vincent praised the entire Chicago student-athlete community and their selfless demeanor. This attitude within the student-athlete community is particularly impressive at a school as academically focused as the University of Chicago. Upon graduation, Vincent, who is often called “JV” by his teammates and friends, will be an Investment Banking Analyst in the Debt Capital Markets Group at Citi. Outside of football, Vincent was involved with the Fraternity of Phi Gamma Delta and the Order of the C.